Loan sharks have a reputation for violence, but the tables got turned on some debt collectors recently. A group of experts from the Ministry of Rural Agriculture and Development is debating whether to keep or remove a 15-hectare sand island that recently emerges around 1.5 kilometers off the coast of Hoi An City. Thousands of people have lined up outside the South Korean Consulate General in Hanoi after it was announced that Vietnamese citizens could get five-year multi-entry visas. There has been an increase in the number of young people reporting problems with anxiety with 15 percent of the population having mental health problems such as depression and anxiety disorders. As the fishing season from April through September has begun, the fisheries resources surveillance force has been strengthening patrols to support Vietnamese fishermen and minimise violations by foreign fishing ships in the country’s seas. 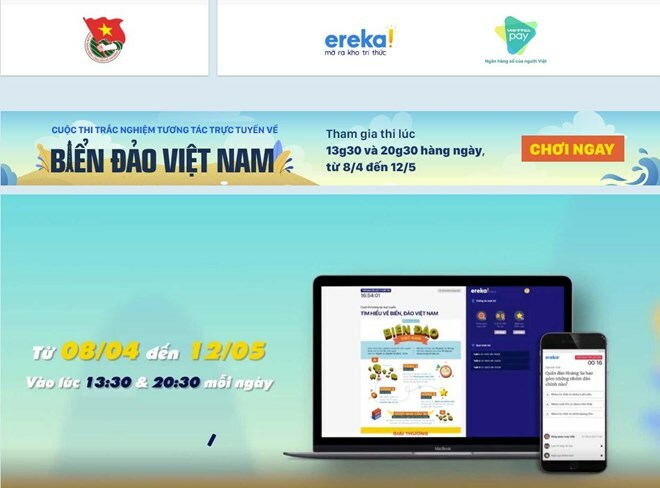 The Ho Chi Minh Communist Youth Union (HCYU)’s Central Committee on April 8 launched an online multiple-choice contest themed around Vietnamese seas and islands. 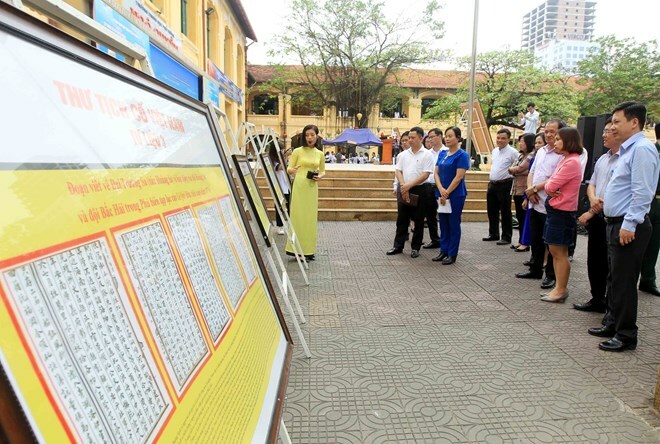 An exhibition was opened in the northern city of Hai Phong on April 8, giving visitors an insight into historical and legal evidence proving Vietnam’s sovereignty over Hoang Sa and Truong Sa archipelagos.